To us, it goes without saying that we’ll always make sure you’re compliant and on track with what you should be doing. It’s what we do on top that gives our service a huge and measurable difference. You have a choice of three fixed fee packages, a promise you’ll never have an unexpected bill from us and you’ll be working with a team who are fun as well as effective… for all these reasons and more, check out FMS accountants in Birmingham for a trusted accountancy service. Advice on Accountancy packages, software and apps. We can prepare your monthly or quarterly management accounts to make sure you always have reliable and accurate information on which to base your business decisions. Regular advice and planning to minimise your tax. Annual Taxability reviews in February each year to make sure your personal tax is minimised. Business tax review two months before your year-end so that your business pays as little tax as possible. Post year-end review to make sure all your expenses and allowances have been properly claimed. Corporation Tax: making a claim or election, Marginal Relief, R&D Relief, Dividend planning, Marginal Relief, and Disincorporation. VAT: Returns, Registration/Deregistration, Flat-rate, Annualised and Cash Accounting, Marginal and Retail Schemes. Income Tax: Minimisation Planning, Self-Assessment, Registration, Reliefs, Claims, Rental and Investment Income. Other Taxes: Inheritance Tax Planning, Capital Gains Tax, Stamp Duty, Foreign Taxes, Non-Residency, Non-Domicile. PAYE/National Insurance (NI) planning and operation. Company Cars, Vans, Benefits, P11D’s. Real Time Information (RTI) P45’s, Tax Codes, Minimum Wage and Compliance. Full Payment Submission (FPS), Year End Reporting, P60’s P35’s. Fee protection insurance – insurance against the cost of a tax investigation. You’ll be covered by our scheme – in the event of an enquiry, we’ll be able to deal with this for you promptly and our fees will be met by the insurance company. Do you ever wonder how well you’re doing compared to your competitors? 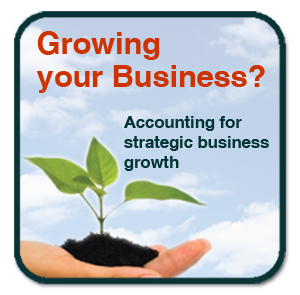 With our accounting packages, you’ll get a fully customised report that will show you. Your report will eliminate guesswork by providing a fact-based analysis of your key financials, as well as calculating the potential for improvement. It will give you a crystal clear picture of the strengths and weaknesses of your business compared to your competitors. A. Bronze Package: all of the above proactive compliance services. All plus Financial reporting review: you’ll receive a graphical analysis including ratios of your accounts so you’ll have a clearer picture of what your business is doing and what you can do to improve it. If you’re currently not getting this from your adviser, call Stephen on 07970 812957 today.